I encountered a video on youtube by Sifu Leung Kwok Wah of Hong Kong. I thought it had some great teaching points that I’d like to share with you. Why aren’t you facing your opponent? You need to have forward intent. If you don’t face him, your concentration will be broken. I don’t know why but when I see people doing chi sao exercises with their heads turned left or right, I think of a movie star holding a gun sideways, trying to look cool. The bit about focusing on forward intent by actually facing your training partner makes sense to me. Plus, as much as we want to rely on our sensitivity, we can’t ignore the amazing benefits of the visual input from our central and peripheral vision. Don’t stop. If you are turned and then stop there, a fighter is just going to push you around and you’ll get hit. This is hard to do when you get tired I guess. It’s one thing to be able to dissolve a force, but another thing to still have forward pressure, or spring back after the force is dissipated. If we dissolve only without returning the favour, we’ll get slammed. And if we get pushed away, make sure those hands are up to defend against a follow-up attack, or just go back into the fire! Of course! We are training stamina here with this chi sao exercise. Every now and again, I’ll post some interesting videos I find from various Sifus. You can see how there are many teaching points common throughout various "lineages". 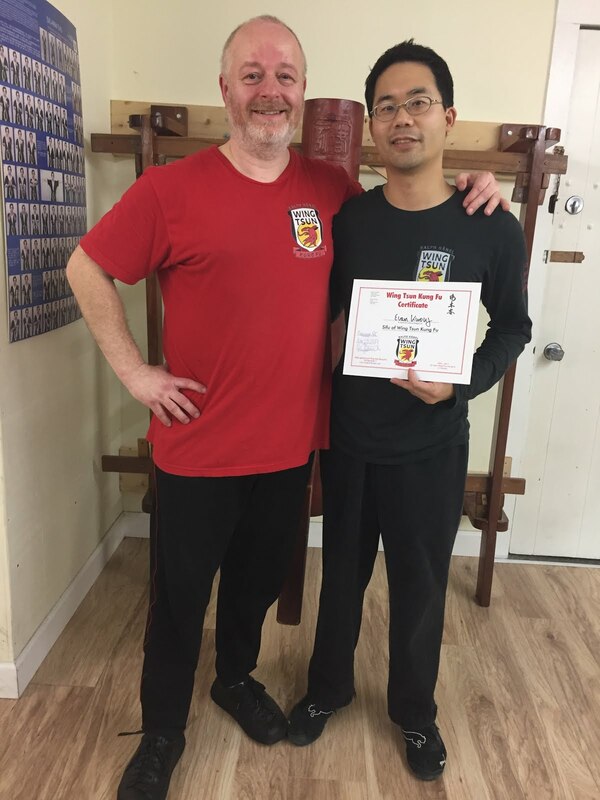 There is much to learn out there in the Wing Chun family. What am I learning, anyways?